Critical Exposure is holding our second annual Summer Youth Facilitators Institute. 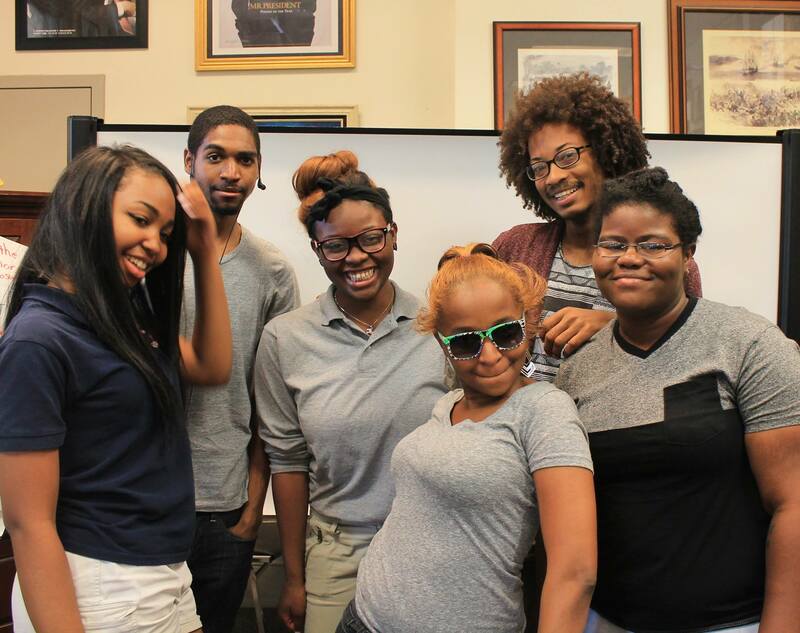 Six young leaders from our programs were hired as staff and trained in our curriculum and teaching methods. They have been placed in pairs and assigned a program staff mentor. Those trios are running our summer programs with youth through the Cathedral Scholars, Powell House, and the Prince George's County Freedom School. We're very excited to double the number of Summer Youth Facilitators -- last year we had three -- and continue to grow the capacity of young people as facilitators of social justice projects among their peers. Khadijah is a CE alumna, who has returned for the summer. This is her second year as a SYF and she is excited to put her training into action as a facilitator with the Prince George's County Freedom School. Nadia is silly and playful. She was a member of the first class of Youth Interns, and a Fellow this spring. She likes to tell and make stories and is excited to be working with Cathedral Scholars this summer. Maya is an energetic person who brings smiles to her environment. She was a member of the first class of Youth Interns, and a Fellow this Spring. She is excited to be facilitating this summer. Delonte has been a Fellow for the past two years. He is excited to be on the other end this summer as a facilitator for Cathedral Scholars. Gina is a teen mom who has challenged everyone's doubts. She is going to make change and be the voice her peers are afraid to use. She is excited to be a facilitator with Prince George's County Freedom School. Malik is an 18-year old D.C. native. He just graduated from high school and looks forward to continuing his social-justice work in Rochester, NY. This is his second year as a SYF and he is excited to incorporate all he has learned into his facilitation practice this summer.